On Oct. 4, T.I. appeared at the top of the stairwell on a darkened stage, illuminated only by a spotlight at the BET Hip Hop Awards. The artist dressed in all black by design. Atop his head sat a slightly tilted black beret, reminiscent of Huey P. Newton, a founding member of the mid-1960s Black Panther Party for Self-Defense. A black glove covered his right hand. “United, we all stuck in this bulls— together, showin’ these folk we just won’t take whatever, or else they just roll up and shoot up whatever, just like they’ve been doin’ forever,” T.I. rapped. When the camera panned to a wider shot of the stage, a protester can be seen falling to his “death” after being tapped by the police batons of the two white officers who appeared onstage. One by one, the protesters dropped. By the end of the performance, T.I. was the only one who remained, flanked by the two officers. As they attempted to hit him with their batons, they too fell to the ground and joined the other protesters. As dramatic and powerful as the scene was in its entirety, the performance sent a strong message the artist wanted to convey. T.I. performs onstage during the 2016 BET Hip Hop Awards at Cobb Energy Performing Arts Center on September 17, 2016 in Atlanta, Georgia. T.I. has been one of the more prominent voices in the music industry while using his platform to speak out against social injustices and police brutality. In 2014, shortly after the death of Michael Brown, an unarmed teenager who was shot and killed by a police officer in Ferguson, Missouri, the now 36-year-old released his single New National Anthem to address police brutality, racism and other injustices people of color continue to face in America. Two years later, things remain the same — or worse. Of the deaths caused by police in 2015 and 2016, 486 out of 1,970 victims have been black men, according to data from The Guardian. According to The Washington Post, 169 of those black men have been fatally shot by police in 2016. Police brutality across America has sparked national outrage, movements and protests from citizens demanding that police be held accountable for their actions. 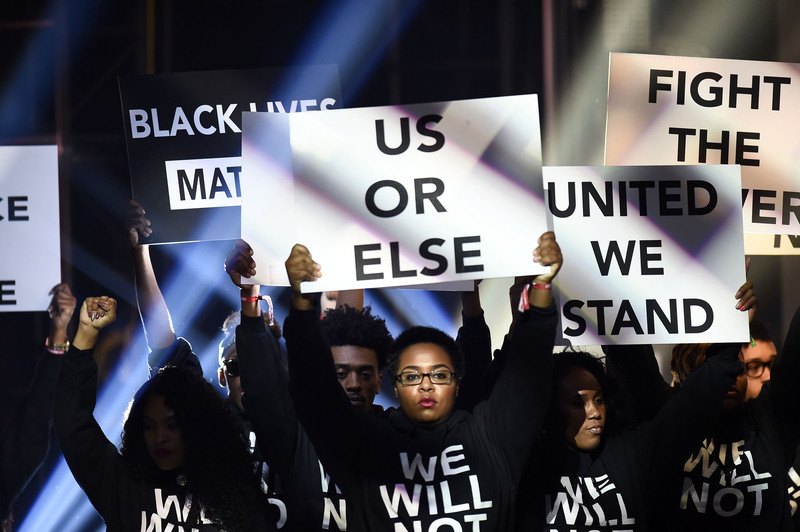 Recent high-profile shooting deaths, including that of Alton Sterling, Philando Castile, Terence Crutcher and Keith Lamont Scott, have prompted athletes and other celebrities to become outspoken about policing, systemic racism and accountability. T.I.’s latest EP, Us or Else, is one dedicated strictly to these issues. T.I. doesn’t believe his music is the only solution, but hopes that it at least is a conversation-starter that will generate the necessary discussions America needs to heal and move forward as a nation. This Story Tagged: Daily Uplift Get Lifted Music Police Misconduct T.I.